After Effects Version: CS4, CS5; File Size: 28.2mb; Requires Plugins: No; Resolution: Resizable. Download this after effects project and enjoy! 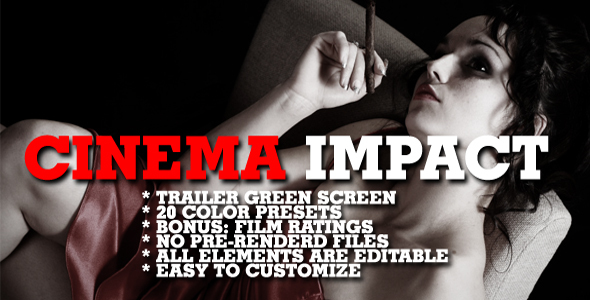 A new preset pack with 20 original amazing looking cinema styles. Special camcorder effect, sun burn presets included. 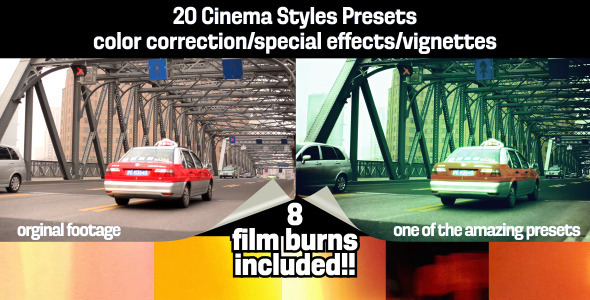 Also presets with vignettes and special looks. You can use these presets in any project you’re working on, in any version of After Effects (very old till CS5 ). In the zip file you’ll also find an AE project file with some custom made film burns that you can tweak yourself. Save time and energy! Make your footage look like real Hollywood cinema with just one click! Enjoy! It would be great if you could rate the project. 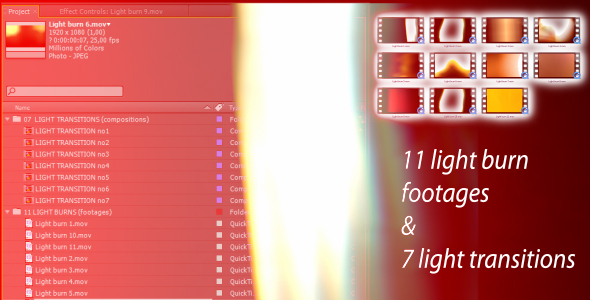 Keywords: cinema, color correction, film burn, look, presets, style, transition. Design After Effects Project - VideoHive Cinema Styles Presets & Film Burns 306460 style in Adobe After Effects. Full details of After Effects Project - VideoHive Cinema Styles Presets & Film Burns 306460 for digital design and education. After Effects Project - VideoHive Cinema Styles Presets & Film Burns 306460 information, music or audio name, or anything related.